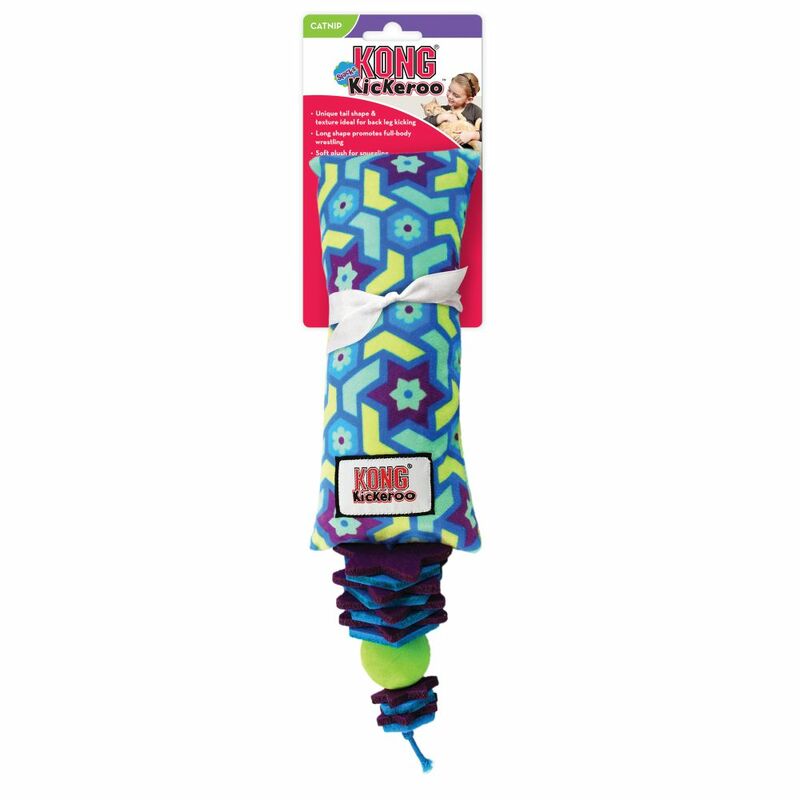 KONG Kickeroo Stacks’ irresistible stacked tail calls cats to play, inviting all kinds of wrestling antics that give your kitty a healthy workout while satisfying natural instincts to pounce and capture. 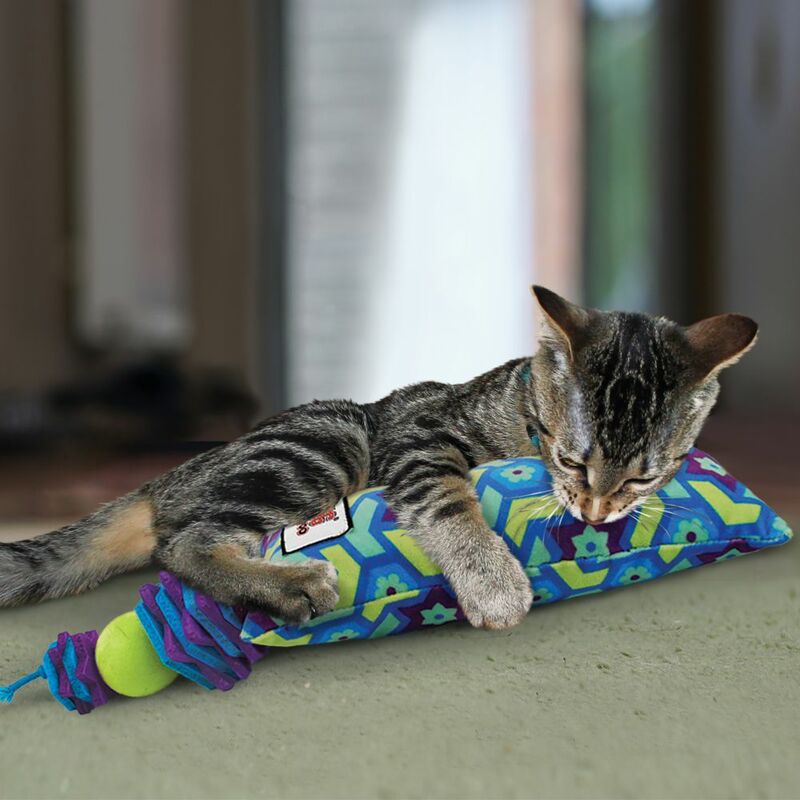 The felt shapes and pom poms on the tail delight curious cats, keeping them absorbed for longer play sessions. 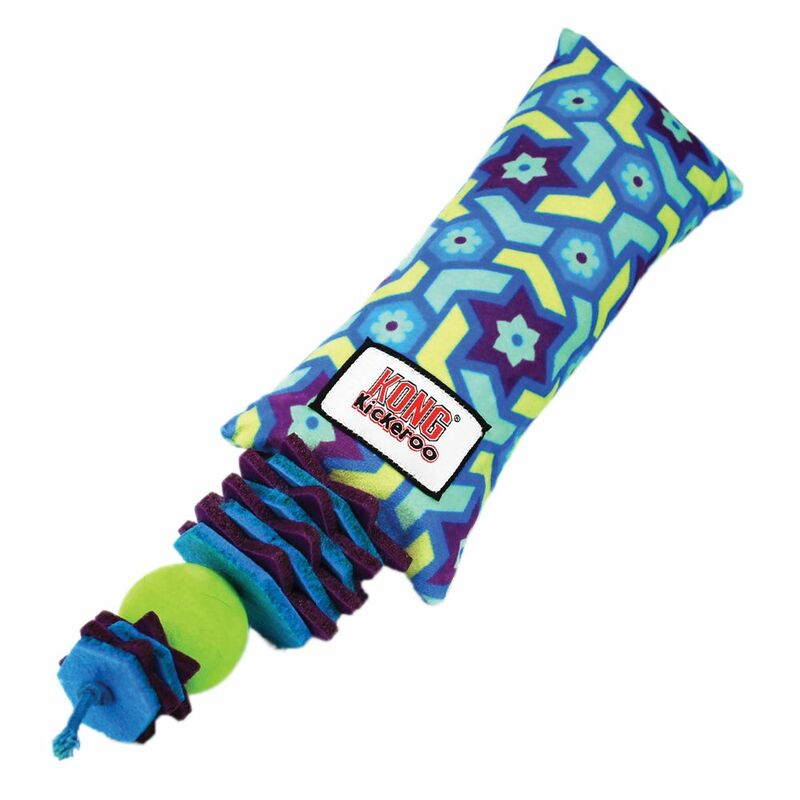 The Kickeroo Stacks is enhanced with a generous dose of KONG Premium North American Catnip.